Many companies have numerous warehouses across the United States to handle the increased sales coming from all corners of the nation. The expansion of their commerce required a new type of warehouse management system to replace the old bin cards and analog stock registers of the past. A digital option was needed to keep up with the fury of Internet sales. 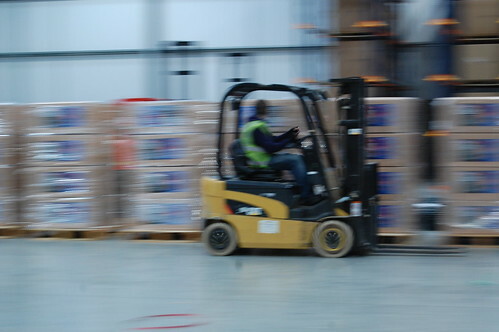 To handle the flood of orders, all warehouses must have warehouse management systems in place to optimize their order picking and packing process. Warehouse management systems consist of the technology and operating processes that facilitate warehousing functions from the arrival of inventory to the fulfillment of orders. Warehouse management systems also track the flow of information between the various departments. New technologies have enhanced these processes. Hybrid systems are reshaping warehousing through the use of pick-to-light and put-to-voice technology. These advances direct pickers to fill several orders at once. Pickers are responsible for locating the products for an order from various bins around the warehouse. Usually, the pickers gather the products for each order sequentially. Hybrid systems enable the pickers to collect the items for numerous orders at one time. A hybrid warehouse management system incorporates all the orders that are in line to be fulfilled, which allows the pickers to gather all the products needed from a particular bin instead of returning to the same bin several times a day for different orders. Productivity is increased by 25 percent with this type of mass picking. The two distinct components of hybrid systems are the light and the voice modules. The light system lists all the bins the picker needs to visit and displays the total number of items that need to be gathered for every order currently being handled by the picker. The voice system tells the pickers which products to put in the individual totes to fulfill each order. This method saves time by enhancing the productivity of each picker. Hybrid warehouse management systems are appealing because they can be integrated into any type of warehouse. They are not limited to small or large companies because they’re scalable. > Hybrid warehouse management systems are a combination of real-time, point-of-sale inventory control and personnel administration. They are a digital enhancement to an order fulfillment process that needed a modern boost. Hybrid systems have arrived in time to effectively fulfill the increased flow of commerce brought on by increased sales. Mercedes Potter is a part of an elite team of writers who take special interest in boosting morale and prodcutvity in the workplace. Follow her @CedesPotter.